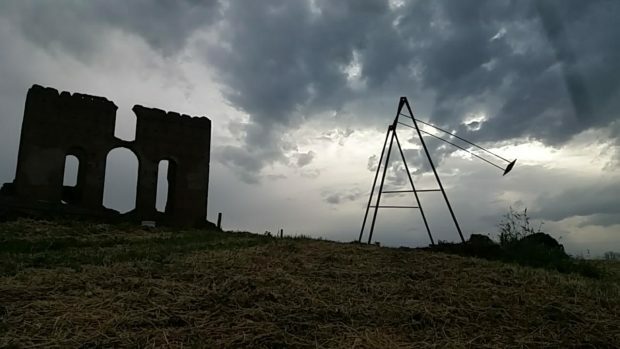 Four great artists – Stefano Arienti, Cuoghi Corsello, Dado and Rusty – have left traces of their creativity in the stunning archaeological site of Villa dei Quintili with their exhibition Ailanto<3, a route encompassing their artistic installations created ad hoc in the heart of the Appia Antica Regional Park. The works all share the stylistic energy employed by each individual artist and the delicate way each installation blends into the landscape, an almost invisible touch that accompanies visitors on discovering the monuments already present within the archaeological site: the Baths of Caracalla, the subterranean cisterns, the aqueduct, the Nymphaeum, Santa Maria Nova and the Ancient Appian Way. 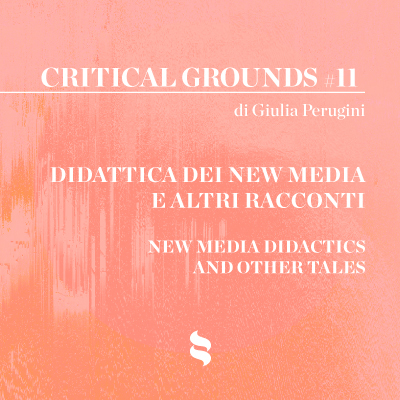 “The exhibition”, according to the press release, “centres on a poetic metaphor: the parallel between an invasive non-native plant, the ailanthus, and several of the artistic styles that became popular from the 1980s to the present. The name of the plant itself is fascinating, full of references to magic, thaumaturgy and spirituality. The Latin name is Ailanthus altissima, but in Italian it is also known as “sky tree” or “tree of heaven.” Originating in Cina, this species has spread across the world. In Europe it was introduced in the eighteenth century as a garden plant and it then “travelled” from England to the Mediterranean. In Italy the presence of this plant has increased exponentially in the last three decades due to the gradual abandonment of land in urban and suburban areas. The physical and mental space taken up by the ailanthus corresponds to the creative sphere of those artists who pursue their research without conforming to dominant trends. The ailanthus, therefore, is a symbol of artistic diversity, representing an alternative to “official” art: with a tendency to “ailanthusise” and colonise, rapidly spreading in entirely different environments and at different latitudes”. 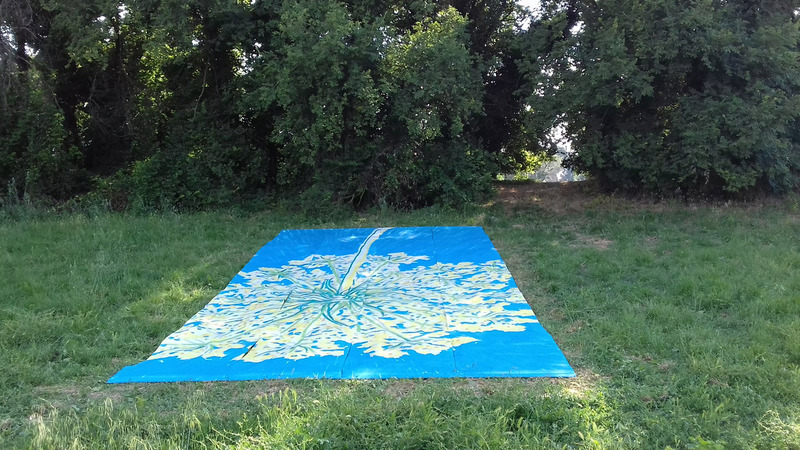 Stefano Arienti, one of the first artists to pay attention to the ailanthus plant by creating a series of large drawings on dust canvas sheets, presents, for the first time in Italy, his huge Ailanto rosso (Red Ailanthus), which was exhibited at the Isabel Stewart Museum of Boston in 2012. Rusty, the Italian pioneer of writing, reproduces the mosaic flooring in the bath’s portico using spray paint caps. The mirror installation by Monica Cuoghi and Claudio Corsello, Miraggio 1 (Mirage 1) reflects the invisible force of nature and relates to the dimension of time. Sculpture finds new linguistic outlets in Colonna (Column) by Dado, made of extruded polystyrene and lightweight concrete, together with the gravel and soil that Cuoghi and Corsello use to give shape to a sculpture whose existence is concretely linked to the place it was first created for and made from the same material. Ailanto has been conceived as a touring project, able to ‘root’ itself in different realities like the plant species it is inspired by. 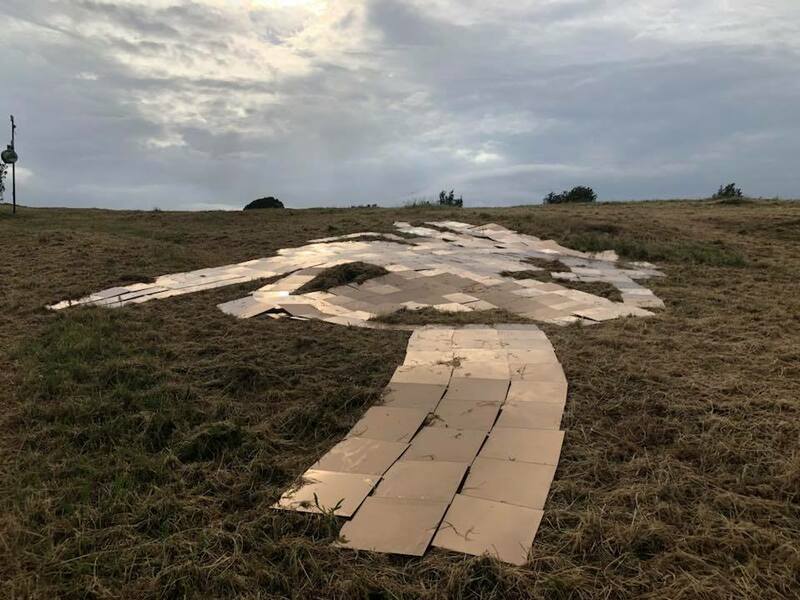 If technology gives way to installation works made with diverse materials that adapt and blend into the landscape, the entire project relies on two viewpoints: the perspective of those who walk through the Park together with the perspective from a satellite, on which the majority of the works depend. 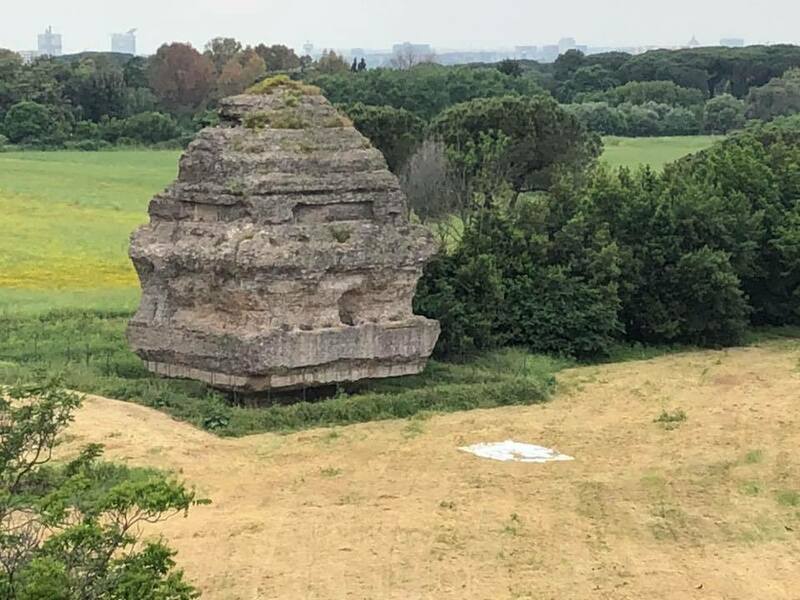 These works will enhance the exhibition, proposing a different narrative path that places the spotlight on the artistic heritage of Italy, of which this Archaeological Site is the leading example. 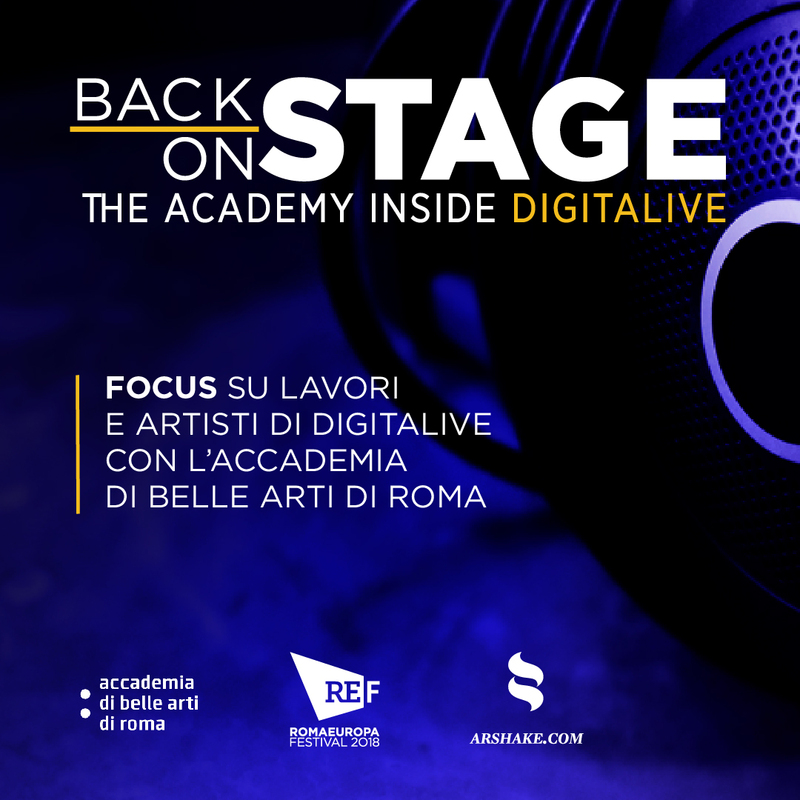 Ailanto, curated by Fulvio Chimento, is organised by the Association BLQ – Block Culture in collaboration with the Appia Antica Archaeological Site and MiBACT.